If there’s something you want to learn in Life, learn to be compassionate.Compassion is the purest form of love. When you have something to offer, something to give – out of a deep understanding of the other’s predicament or need, out of purely being human, without really worrying about what’s in it for you! When you pity someone, you don’t really understand that person’s situation. You merely feel an emotion that makes you feel superior than the one that you are pitying – which is, in a way, you feel subconsciously good within you that you are mercifully not in that person’s shoes. Compassion, on the other hand, helps you relate to the other person and gets you to see the world from that person’s situation and act from that reference point! Devi, Sharma, Khan, Azmi – Being Human! This morning’s papers in India have led with the story of two women who offered their kidneys to each other’s husbands in order to save their lives. These women are as disparate as you can find any two – age-wise, social-strata wise, education-wise, income-group-wise and religion-wise. Yet they reached out to each other and in the name of humanity offered to help each other. Fitraus Azmi, in her 20s, from Aurangabad, gave her kidney to save the Life of Uma Devi’s (in her 40s) husband, Devaki Nandan Sharma (52), who hails from Patna. 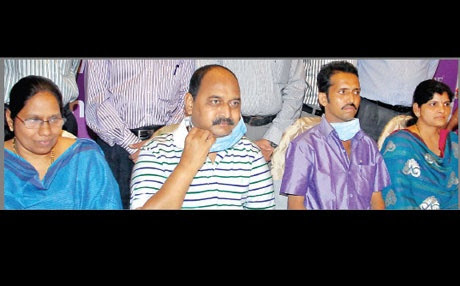 And Devi, in turn, gave her kidney to Azmi’s husband, Mohammed Akhtar Khan, 29. The entire operation, in fact four of them, has been successful and has given the two men another lifeline from the acute renal failure situation that both were faced with. In a world where religion divides people, here compassion has brought them together. And how! “…What did you bring with you, for you to lose it? What did you create, for it to be wasted or destroyed? Whatever you took, it was taken from here. Whatever you gave, it was given from here. Whatever is yours today, will belong to someone else tomorrow. On another day, it will belong to yet another. To be liberated, therefore, be compassionate, be human – give freely!